On 5 June, ARMOR India launched a variety of initiatives to demonstrate its commitment to protect nature and the environment. Prabhat Sehgal, General Manager of ARMOR India, reminded staff of the importance of protecting the environment and of the solutions required to guarantee its preservation. He also presented ARMOR’s CSR commitments. 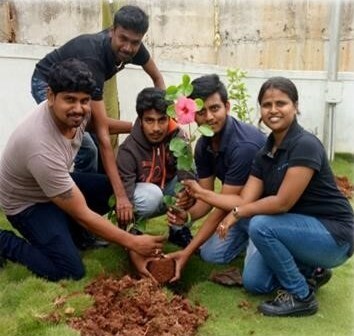 A variety of different trees and flowers were planted, and all of the employees made a promise to plant more on their respective birthdays. The entire ARMOR India team also took part in games and quizzes relating to the environment.